It dates back to 1979 when we started Taj Pneumatic Pvt.Ltd. Products, engaged in manufacturing Tyre-Tube valves to cater to specific requirements of an ever-increasing spectrum of industries. Since then we are able to successfully maintain the traditional craftsmanship combined with the speed and precision of modern technology. We are one of the leading Tyre Tube Valves manufacturers in INDIA. 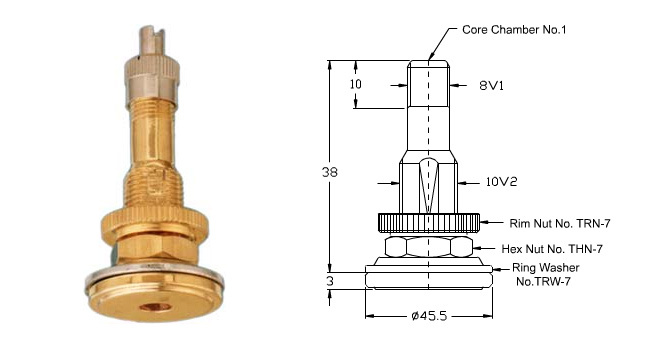 We have manufactured the finest quality tyre tube valves, automotive valve accessories and brass auto parts. © 2017 Taj Pneumatic Pvt. Ltd. All Rights Reserved.